High School Students (9th-12th grade) meet weekly for worship, discussion, and fellowship. In addition to our worship and lesson each week, we play games, go on outings, and engage in service projects. This year, we will be working with the theme “Record Breakers”, in which we will discover what it takes for athletes to break records and how their passion and drive intersect with our faith. We meet in the Youth Center on Sundays from 6:30-8:00pm. Visit the youth calendar to see what is coming next! Middle School students (6th-8th grade) meet weekly for dinner, worship, small group discussion, snacks, and activities to help them grow in relationship with Christ! We start the evening with a church-wide dinner in the Worship Center and move into a time of worship and discussion before a eating a snack and finishing with a big group activity! Our Middle School youth will also be working with the theme “Record Breakers”, in which we will discover what it takes for athletes to break records and how their passion and drive intersect with our faith. Meet in the Worship Center and Youth Center on Wednesdays 5:30-8:00pm. Visit the youth calendar to see what is coming next! Middle and High School students learn about God through scripture by meeting together and learn about who God is through presentation and group discussion. Meet in Education Room in the Youth Center at 11:00am on Sundays. 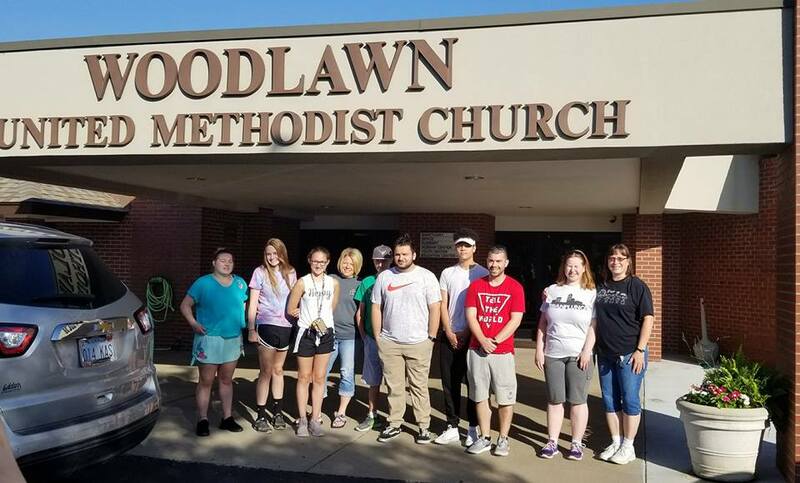 Woodlawn hosts a breakfast every Sunday morning during the school year from 7:30-9:30am in the Worship Center. On months with a 5th Sunday, the high school youth are in charge of breakfast as a fundraiser! Any students who help with breakfast receive a share of the money earned that can be credited toward mission trips, retreats, and camp. All youth are welcome to sit together in the front row during the contemporary service in the Worship Center on Sundays at 9:45. Come worship with us! Confirmation is for students eighth grade and above who are interested in going deeper in the faith in a tangible way. Confirmation literally means “With Firmness” and gives youth the opportunity to claim their faith as their own “with firmness”. Through the Confirmation process, youth will discover what we as United Methodists believe and why we believe them. In order to best do so, Confirmation students will work with teachers, parents, and mentors through the process. At the conclusion of the class, youth will have the opportunity to become full members of the church. We are currently working on restructuring our Confirmation process. More information will be available soon. 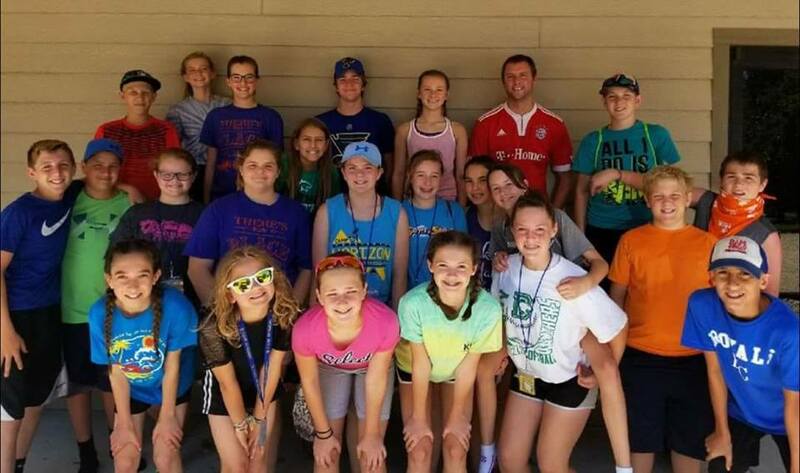 Woodlawn youth attend overnight camps at Camp Horizon in Arkansas City, Kansas. For more information about Camp Horizon visit horizoncenter.org. Scholarships are available through Camp Horizon and through Woodlawn UMC. Click here to fill out the scholarship application through Camp Horizon. Contact Bryce if further financial assistance will be needed through the church. Throughout the year, we offer a variety of opportunities for youth to break out from their ordinary schedules and connect with both God and other youth in much deeper and more intense ways. Look for retreats in the fall and spring as a way to encounter God as we retreat from our ordinary lives to spend a weekend with God. Some of these retreats offer youth the chance to serve those in need as we put our faith into action as the heart, hands, and feet of Christ. Check out the youth calendar to see when our next retreat or mission trip will be!